Tsunami is one of the natural disasters that fall under the monitoring systems of the AHA Centre. The word is derived from Japanese tsu (harbour) and nami (wave). 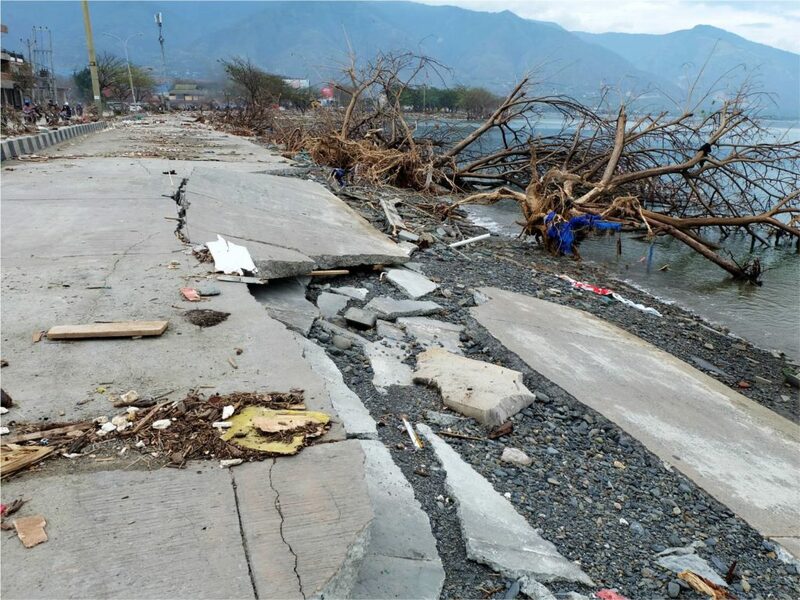 After previous editions delved into earthquake and volcano geophysical disasters, this month we focus towards tsunamis, which may be triggered by various geophysical phenomena, and can have devastating results for the region and its communities. We further explore the cause of these terrifying oceanic occurrences, and learn what to do when faced with the potential onset of such giant, destructive waves. A tsunami is an ocean wave that is caused by water displacement, most often triggered by a geophysical event (earthquake, volcanic landslide etc.) taking place near or under the ocean. This water displacement results in the formation of large waves that then move quickly (up to 800 km per hours – the speed of an aeroplane) towards the coastline. Such waves can vary in size and strength – small enough to only register on specific monitoring instruments, or large and destructive such as the 2004 Indian Ocean tsunami – depending on a range of influencing factors. Tsunami events will normally consist of many waves with strong currents that surge inland from the coastline, picking up and destroying anything that stands in their way. Recent examples of their destructive force in ASEAN include the 1976 Mindanao Tsunami, the 1992 Flores Tsunami, the 2004 Indian Ocean Tsunami, the 2006 Pangandaran Tsunami, the 2010 Mentawai Tsunami, the 2018 Central Sulawesi Tsunami, and the 2018 Sunda Strait Tsunami. ASEAN-ERAT responded to the 2010 Mentawai and 2018 Central Sulawesi tsunamis. Tsunami monitoring and early-warning technology continues to improve and advance across the ASEAN region and the world, in-line with continuing technological advances overall. The AHA Centre, national disaster management organisations, national meteorological agencies, and a range of partners continue to develop, test and implement technology and procedures aimed to support communities and minimise loss as a result of tsunami events. Currently, ASEAN Member States are beneficiaries and active partners of both the Pacific Tsunami Warning System and Indian Ocean Tsunami Warning System. The most common cause of tsunamis are earthquakes (usually underwater), with the shifting of tectonic plates under the sea causing the displacement of water that results in the giant waves. While such undersea earthquakes are taking place daily across the world, recent tsunamis have most often been caused by significantly large earthquakes that registered at relatively shallow depth and took place quite close to landmass. Certain types of earthquake can also contribute to tsunami occurrences, with different fault line movements (for example strike-slip or dip-slip) effecting the displacement of water within the localised ocean area. While often such earthquakes may be felt by communities before a tsunami arrives, at other times they are not, depending upon the location, size and depth of the preceding earthquake. Although very rare, there have been cases of tsunami triggered by volcanic eruptions and landslides (either due to above or undersea displacement). In the ASEAN context, major historic magmatic eruptions of Mount Krakatau (Indonesia, 1883) and Mount Taal (the Philippines, 1965) triggered tsunamis that caused significant casualties. This was the scenario that occurred again on the 22nd of December 2018, which caught nearby populations completely off-guard. 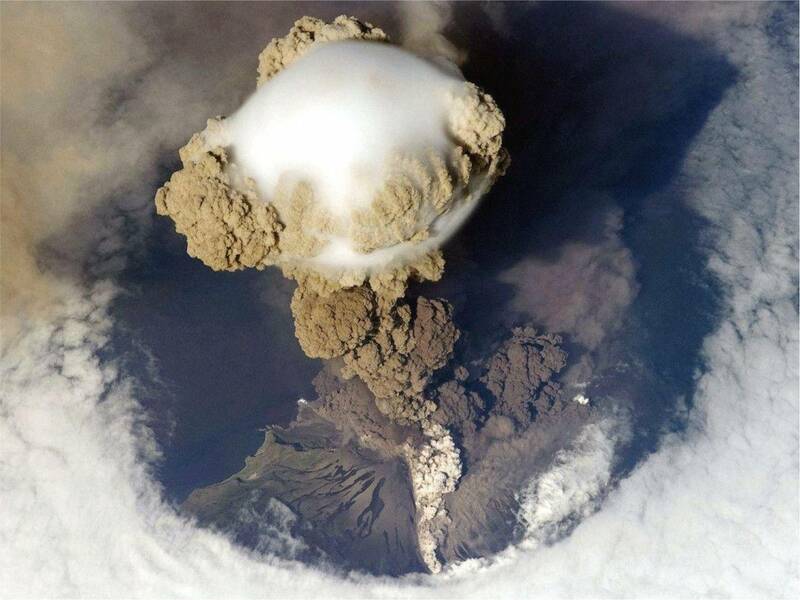 Mount Anak Krakatau’s eruption triggered a landslide of around 64 hectares, with the displaced water causing numerous tsunami waves that struck coastlines on both Java and Sumatra – the two islands that lie on either side of the Sunda Strait. Such events are much more difficult to monitor, and may go undetected, or barely register on monitoring technology – meaning the ensuing tsunami can catch many close-by communities unaware. METEOROLOGICAL-TSUNAMI caused by atmospheric disturbances. METEOR ATTACK-TSUNAMI caused by the fall of large meteorites or asteroids in the oceans. MAN-MADE EVENTS such as nuclear explosions.